The Financial Meltdown: Social Engineering Gone Bad or Criminal Behavior? I am a REALTOR. As part of the licensing procedure in New Jersey, licensees are required to participate in an ongoing education program. That’s a good thing. What isn’t so good is that sometimes instructors feel obliged to spread their political views to their captive audiences. Fortunately, it doesn’t happen often…at least in my experience…but it did recently which prompted the following response. Unfortunately, when these things do happen leverage is on their side since one voice can reach many. That is why those of us who are serious about change must remain vigilant and spread the truth as often we can to as many people as we can. I want to respond to a couple of points you made during your presentation that had more to do with politics than with housing or with the state of the housing market. The first point was your allegation that the mortgage/financial meltdown was the result of social engineering. Since “social engineering” is often linked to Democratic or left-wing politics, the political implications of the linkage are clear. What is less clear is any factual support for the allegation. Since the 1970s individual employment income dropped in the United States while, over the same period, worker productivity increased. In addition, vast numbers of women entered the work force, a large worker migration arrived from the south, and the offshoring of jobs all conspired to exert powerful downward pressures on wages. In order for middle-class lifestyles to be maintained in this environment, which was essential in order to sustain America’s consumer-driven economy, easy-money policies of the Fed fostered a dependence on credit and encouraged home equity cash outs. 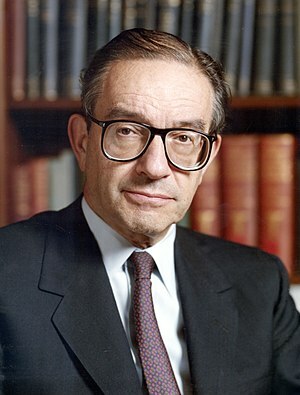 Then, along came Alan Greenspan, the arguably libertarian Fed Chairman who set the stage for economic disaster. He knew that as housing went so went the economy so, he reasoned, why not make home ownership possible for a far broader population? All it took was low interest rates, the repeal of Glass-Steagall, and the easing of mortgage credit requirements. The housing industry boomed, business boomed, Wall Street and the banks swam in money and strutted their bullet-proof, too-big-to-fail power for all to see. It was crony capitalism at its worst. But the only connection to social engineering was how it was sold to potential home buyers…the people who did not yet own a home. We know who they are; those evil people who should have known better than to take loans that they couldn’t pay for despite the fact that from America’s top banker all the way down to the Wall Street scum bags who securitized the toxic paper and then took the government’s bailout money all said it was the right thing to do. No, it wasn’t social engineering that caused the problem. It was economic mischief of the highest order, the results of which are the financially engineered destruction of the middle class, and a staggering and unsustainable level of income inequality.